Woodingdean are a bunch of comedians! Q: What do you call a nocturnal cat? Q:What’s the best way to describe a cat? Q: What do you call a tall cat? This week, Gary has set the class quite the task. They have to draw their own animal using a similar technique to how the class drew their version of Julius – using shapes first then adding the detail. 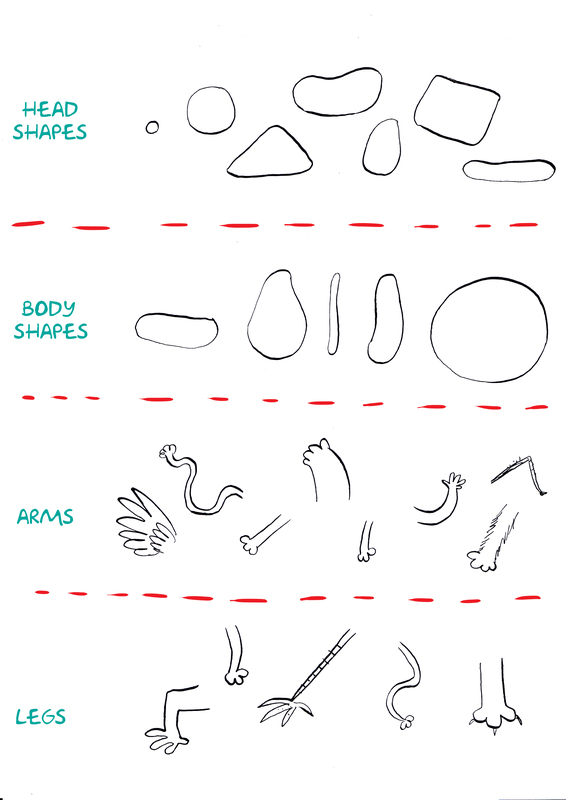 I would like you to draw a shape for the head, a shape for the body, draw arms and legs, add a nose, eyes, ears and a tail, then add a pattern or texture. you could draw a cartoon based on your pet, or any animal you like. But if you break it down into these easy stages, you will find it extremely easy. I’ve included some drawings as suggestions for shapes etc. Next week we’ll dress up your character!